Top speed records haven’t really been relevant for production-based cars for decades. While initially intended to prove powertrain, construction, and aerodynamic science was ready for the hazards of the real world, ever since the 1980s it’s been little more than bragging rights and gear-ratio wizardry. Where electric is concerned, however, the top speed is still a relevant measure, as the technology is still gaining wide acceptance, particularly in motorcycles. The rider is a known entity, as Max Biaggi is a two time World Superbike champion, and ran well in MotoGP prior. The bike is called the Voxan Wattman, and it’s a little less known. Voxan is owned by electric car company Venturi, which also has its own Formula E team. The record attempt will take place on the salt flats of Bolivia. The current electric motorcycle record was set by rider Jim Hoogerhyde, who rode a Lightning SB220 electric bike at a verified 203.566mph back in 2013. Biaggi’s Voxan attempt will aim for the 205 mph number to make it a solid win. I have enough trouble at 100 on a motorcycle, I’d hate to see the north side of twice that. Max Biaggi, though, shouldn’t have any trouble keeping a calm hand at those speeds. Voxan claims the Wattman is the most powerful electric motorcycle in the world with 200 e-horses and 147 e-ft-lbs of torque. 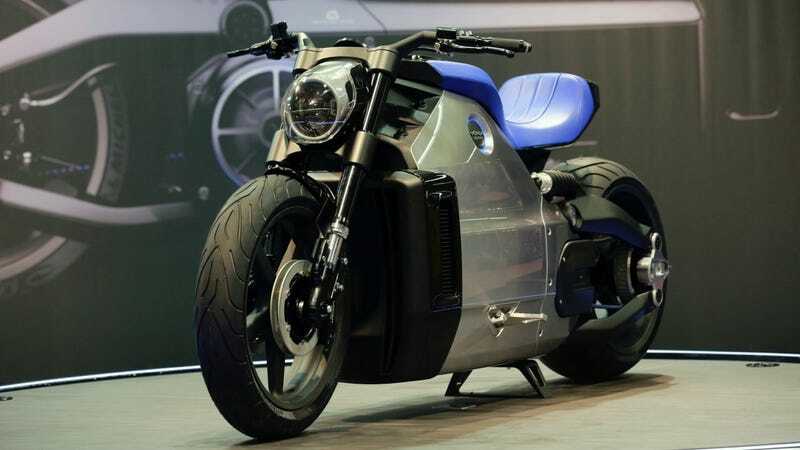 The bike is said to make it from zero to 100 in under six seconds.